The Highland Lakes Road Bridge (06C0349) is a 145 ft long bridge with a 82 ft long open spandrel arch span. Before I-5 was built in 1989 the Highlands Road Bridge along the west bank of the Sacramento was how travelers drove across Boulder Creek. The I-5 Bridges (06 0193L/R) are two four span, 668 ft long cast-in-place prestressed box girder bridges. 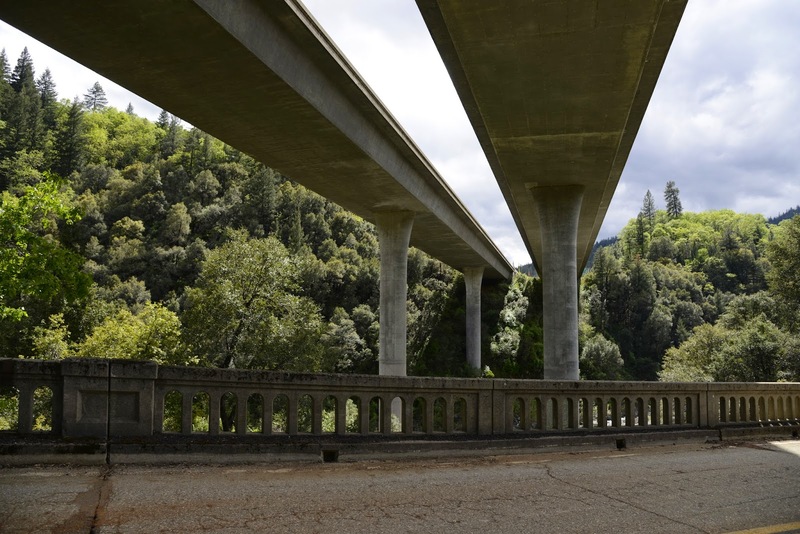 They cross over the Sacramento River, Boulder Creek, the Union Pacific Railroad, and the Highland Lakes Road Bridge. Shasta County, California Bridges: Boulder Creek Bridges (2) by Mark Yashinsky is licensed under a Creative Commons Attribution-NonCommercial-NoDerivatives 4.0 International License.